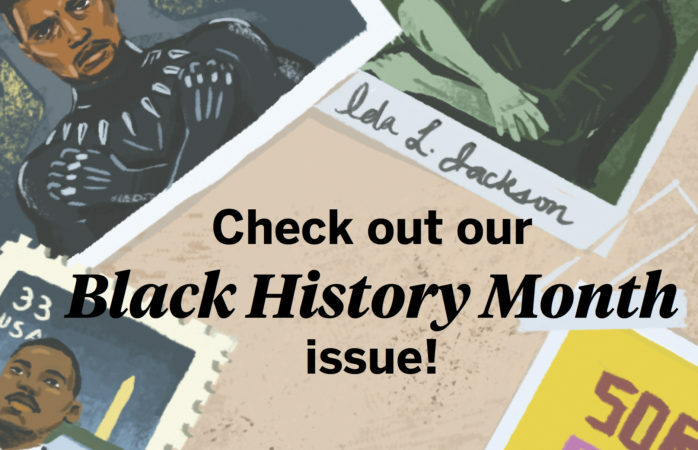 The Daily Californian’s Black History issue is an enterprise in working to secure responsible and accurate representation for a community that has been historically underrepresented — both in regard to the university at large and within our organization. In the past, the Daily Cal has been responsible for contributing to destructive and irresponsible coverage of the Black community. With this issue, we hope to continue our efforts to encourage diverse and appropriate coverage in our publication. We also look back on the past year, noting the surge in the success of Black media, keeping the Black community at the forefront of the conversation. We hope to effectively begin, continue and otherwise facilitate crucial conversations surrounding and involving the Black community. From the history-making best picture nomination of “Black Panther” to Black-owned and operated businesses in Berkeley and beyond, we join in this month’s celebration of the Black community and hope to uplift the voices too often silenced.